It is planned that Sophia’s prize will be up and running again next year. There will be a slightly different format, but a similar emphasis. Culture is a living organism. It needs the rich soil of history in order to unfold its potential. 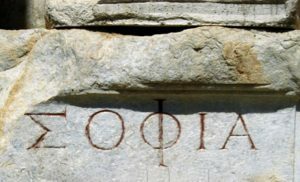 “Know thyself,” was the injunction inscribed at Delphi (it is, as Sophia notes in Kaddish, “…the one wise thing the Delphic woman said”), but we cannot truly know ourselves without understanding the network of influences that have made us. The full flowering of creativity is necessarily grounded in this knowledge. As the ancient Greeks so wisely knew, memory really is the mother of the Muses.